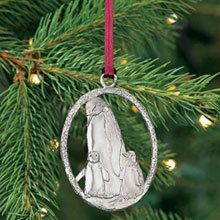 This year and for years to come, your tree will shimmer with the beauty of solid pewter, cast in a stunning nature-inspired design and draped from a silken burgundy ribbon. 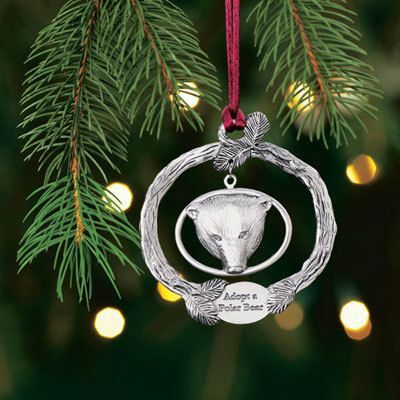 Your purchase of this ornament will provide another ongoing benefit: it will help fund the planting of natural habitat trees and the protection of wildlife nationwide. Imported. 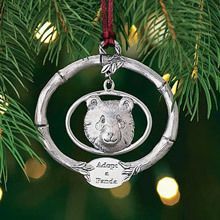 Polar Bear Ornament with a Purpose measures approximately 2½" dia. 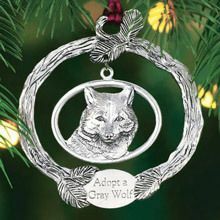 (Ornament is flat on the back, suitable for engraving should you choose to have it done locally). Limited Quantities!